According to a recent study performed by Swedish researchers, the effects of traumatic brain injuries on children may be longer-lasting than expected. Even mild head trauma in children make have long-term consequences as severe as psychiatric problems and premature death. The brain is one of the body’s most vital and delicate organs. Traumatic brain injuries usually happen when the skull and brain are penetrated by a foreign object; when the skull is struck directly with an extreme force; when a concussive force like a nearby blast wave passes through the skull and brain tissue; or when the head is whipped around on the neck or struck at an angle, causing the brain to slosh around and slam into the hard bones of the skull. Permanent brain damage can also result from conditions such as blood or oxygen deprivation or overdoses of prescription drugs or recreational intoxicants. Researchers studied at group of 100,000 people who had a medical history of at least one traumatic brain injury before the age of 25. This group was compared with siblings who did not have medical histories of head injuries. Subjects who had suffered head injuries in childhood and young adulthood had a higher rate of premature death and difficulty functioning on the adult level when compared to their uninjured siblings. They were also more likely to depend on disability pensions, draw welfare, require psychiatric treatment, and struggle with education. Most patients followed by the study had experienced only one concussion, which is considered a mild head injury. The average age of injury was 13 years old. Because study participants with head injuries were compared to their siblings without head injuries, socioeconomic factors were less likely to change the results of the study. "The worst outcome is clearly premature mortality," study author Dr. Seena Fazel told reporters, "but after that the increased risks of psychiatric hospitalization are notable." At Davis Law Group, we see many young clients recovering from the effects of head injuries, including traumatic brain injuries. The forces involved in a car accident are often more than enough to damage even an adult’s brain; even in cases where the skull is not struck directly, the whiplash effect can cause concussions. The height of children relative to motor vehicles means that they are even more vulnerable to head injuries than adults when they are struck by cars as pedestrians. Even activities formerly believed to be safe for young children, like soccer and football, have been found to cause cumulative brain damage in children over time. The problem of providing long-term treatment for children with brain injuries isn’t just personal, but societal. According to another recent study, 45% of homeless men surveyed had experienced a traumatic brain injury. The majority suffered the traumatic brain injury before they lost their housing, a finding that suggests that they might not otherwise have become homeless. Nationwide, the Center for Disease Control estimates that the economic costs of traumatic brain injuries in a single year topped $76.5 billion. 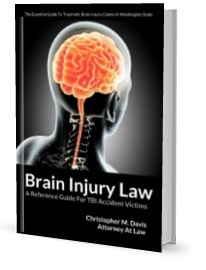 Victims of traumatic brain injuries deserve the best treatment possible so that they can recover. Unfortunately, dealing with the insurance claims process can be especially difficult for someone who is still in the early stages of recovery from a brain injury. If you or a loved one has suffered a traumatic brain injury, it may be time to speak with an experienced personal injury attorney who can help you navigate the civil claims process.